Early on Sunday 5 August 2018, Brian Ladoon died at the age of 65 in Churchill, Manitoba — and so far, the media have said nothing. Brian dedicated his life to the preservation of the Canadian Eskimo Dog — which often attracted polar bears to his property — but he was also an accomplished artist. In the early days, (Norbert Rosing photo. As a lover of Arctic dogs, I remember hearing of Brian’s work decades ago but only that “someone” was working hard to save the breed. 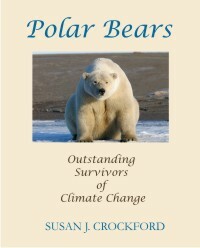 I never dreamed I’d come to know so much more about his work through my research on polar bear ecology and evolution. I never met the man. But he has clearly been an icon of Churchill for decades and because of that, the place will not be the same without him. He is on the right in the photo below, for the TV series “Polar Bear Town” that ran in 2015 (some episodes below). Brief interlude from Western Hudson Bay. 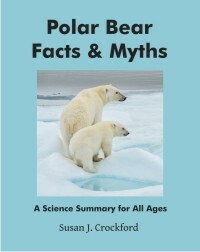 My fascination with Arctic dogs and polar bears collides in Alaska! 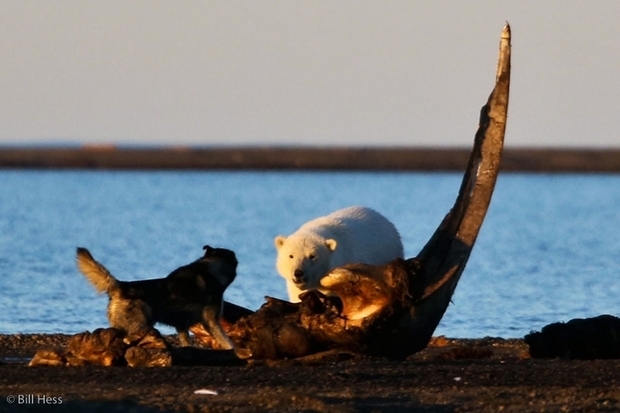 A string of remarkable photos of polar bears at the Kaktovik whale carcass dump (leftovers from subsistence whaling) on Barter Island on the north slope of Alaska and a dog having some fun, by Wasilla photographer Bill Hess, posted at this blog here. 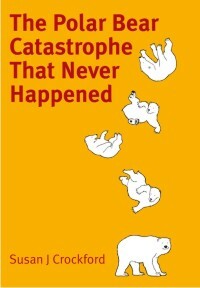 Go have a look. Note the condition of the bears, nice and fat from the look of it. Maps below to get you oriented geographically. I had a Malamute years ago who played like this with horses…whole different game when played with polar bears!